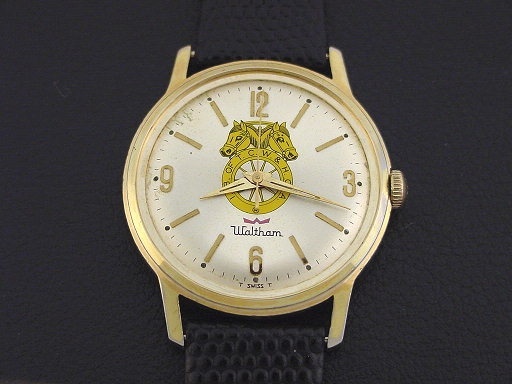 Waltham “Jimmy Hoffa” men’s Modern design wristwatch in yellow gold plate and steel, circa 1965. 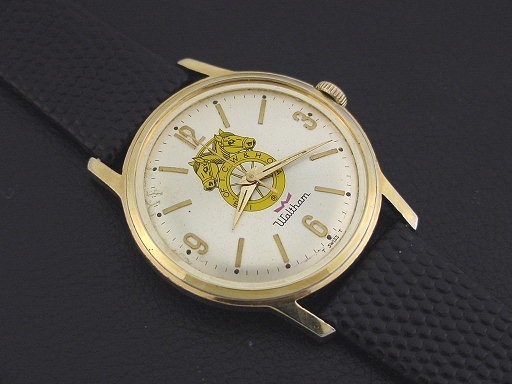 This watch has the logo of the International Brotherhood of Teamsters on the dial, and an etched likeness and facsimile signature of its president, Jimmy Hoffa, on the caseback. 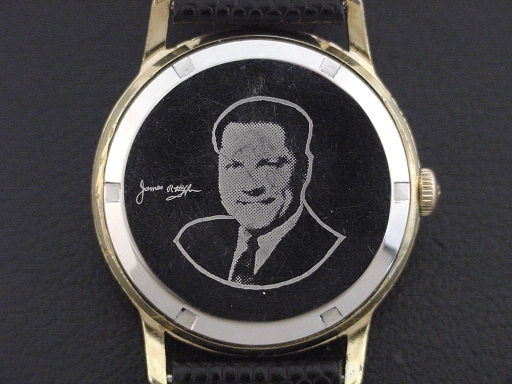 Hoffa was president of the Teamsters union from 1957 until 1971, and mysteriously disappeared in 1975. 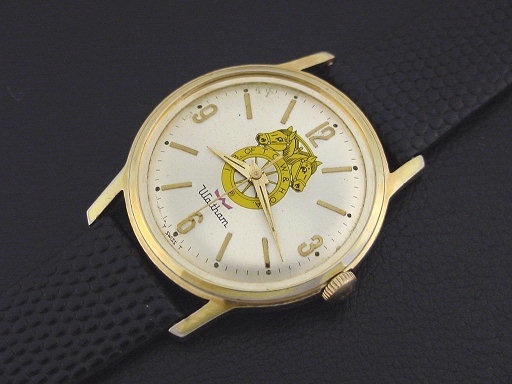 This example is in excellent condition with some light wear to the gold plating. Caseback is excellent. 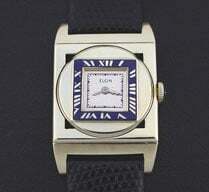 The case measures 41mm long and 34mm wide. Original dial is excellent. Acrylic crystal is excellent. 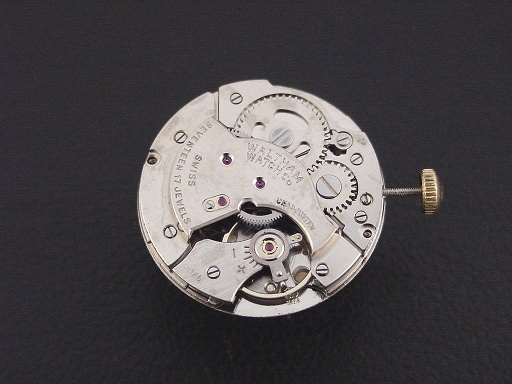 The watch is powered by its correct 17-jewel Waltham manual wind movement, just serviced and running strong.